Terrified!​ Absolutely and totally panic stricken! This is normal for me any time I am getting ready for a trip. As a nearly 60 year old woman, it could be a result of conditioning since childhood that "a woman doesn't ..." and "a woman shouldn't ...", especially not by herself! It could be that my mind confuses the physiological response of excitement with anxiety, reinforced by the oft asked question, "Aren't you AFRAID? ", implying that I should be. My dear friend, Chris, would let me cry on his shoulder for a few minutes, then step back, have me look him in the eyes as he told me, "You've had your moment. Now get yourself together because you ARE stronger than that, and YOU KNOW IT!" I did. I do. 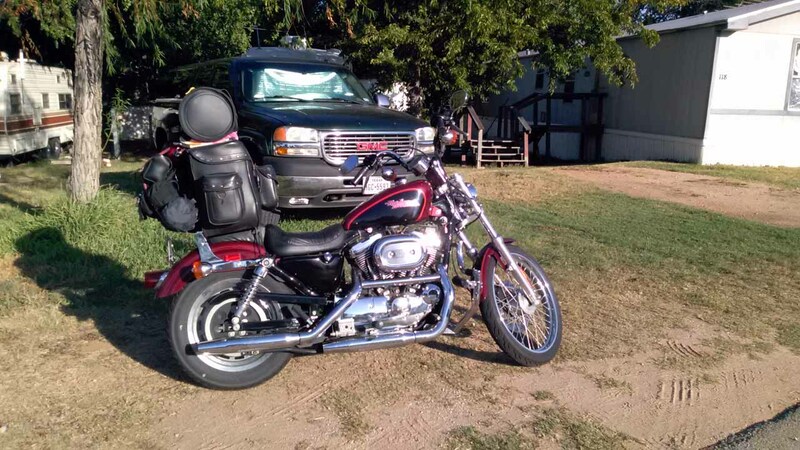 I've traveled cross country alone since I was 19, by car, camper, and motorcycle. I go through this every time. I'll pack and have everything ready to go so I can seize the moment my fear subsides and just get my keys and be on the road. Then I am fine and have a blast, wishing I didn't have to return home again. The unexpected happens (read Rosie's 2014 adventure "Glitch"), but that's part of what it's all about, getting away from the controlled and routine environment. Prepare and be ready to change "plans" at a moment's notice. This is what Cherise was bought for. 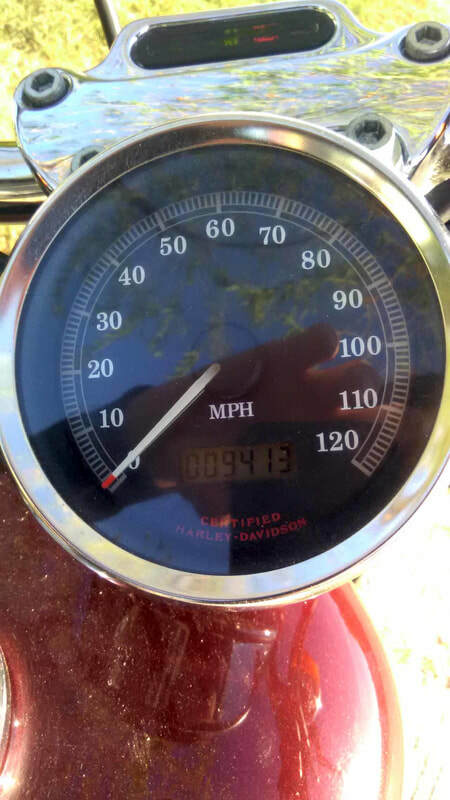 Rosie is getting up in miles, 70,000 plus 12 years of unknown. Cherise is fresh, purchased with less than 5,000 original miles. Over the past five months and additional 5,000 miles I've been preparing her for long distance traveling. There are still a few things I would like to do to make carrying things a bit easier, but she's sound. She's been set up for my comfort; handle bars, mid-controls, road pegs. She just needs me to be ready. I am. My fears are as irrational as being afraid the sun won't rise. I finally get everything pretty well settled and Skye calls to say she and Dusty are on their way, but won't make my place and will be spending the night in Lufkin. We plan to meet up in Childress, and I alter my route accordingly. All her questions about when I planned to leave gave me an idea she might be planning to surprize me. I'm thrilled to be touring with my daughter again! The narrative on the following pages is just a draft, copied from my on the road notes. I may at some point, get back to rewrite it and fill in the blanks, in the meantime, it won't get lost. I hope it's not too dry!